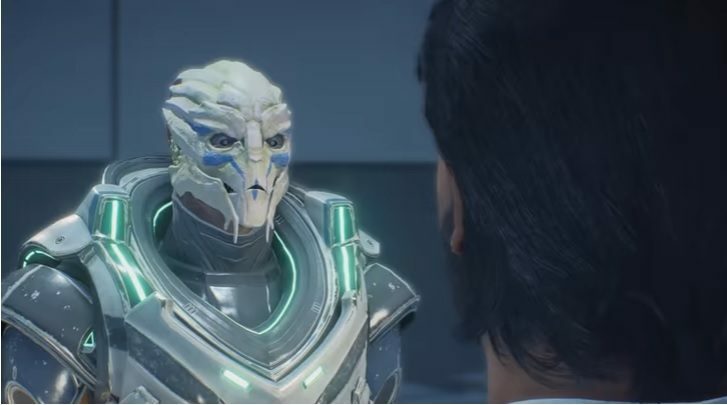 Pictured: Tiran Kandros, a Turian. Because of their militaristic culture, many races perceive the Turians to be cold and imperialistic. They gained their Council Seat after removing the Krogan. When they saw that the Krogan were becoming a threat, the Turian council employed the Genophage. This allows them to take the peacemaking seat in the Council and are recognized for their contributions. They’re from Palaven, their home world. However, Turians are not a young race. If one looks back into their history, one could chart their history as far back as the Protheans. But in the eyes of the Protheans, the Taurians were nothing more but a primitive race. But eventually, they rose to power due to their contributions during the Krogan Rebellion. Turians are humanoid in appearance. If a Turian stood next to a regular human, he would be seen as a giant. An average Turian’s height is at an average of 6 feet. They have long arms with two prominent fingers and opposable thumbs. Each of their fingers have talons on them. 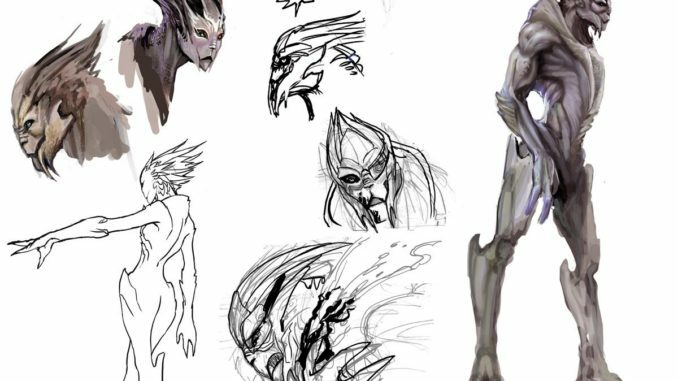 Turians also have a set of mandibles around their mouths. However, their most distinguishing feature is their metallic carapace. Their carapace contains small amounts of Thulium. This was a result of evolution for the Turians especially when they went against the solar radiation on their home planet. However, a Turian has a predator-like characteristic similar to the Kett. Contrary to that of the Krogan (who appear more like prey), the Turian also has the demeanour and personality fit for a hunter. What differentiates them from the war-like Krogan is their metallic covering that allows them to survive solar radiation. But also, they have the brilliance that of Salarian and the Angara. Males and females do not differ greatly in physical appearance. But female Turians lack the crest of horns found in the males of the race. The Turian are proud of their military achievements. At one point in Palaven history, there was a civil war. Some contested the idea of being a colony. However, some preferred joining a colony. In order to differentiate themselves, Turians would mark their faces. Each colony had their own markings, similar to giving a Turian a squad or a battalion. Turians are dedicated also to the desires of society. It has come to a point that it’s rare to see a Turian put their needs ahead of others. But, they’re also strict and regimented. Often times, this puts them at odds with races that are flexible – especially with the economy. This makes Turians poor economists and often times exchange their combat capacity for financial expertise.